IWoT ‘Internet of Thing and Web of Things’: challenges and opportunities. 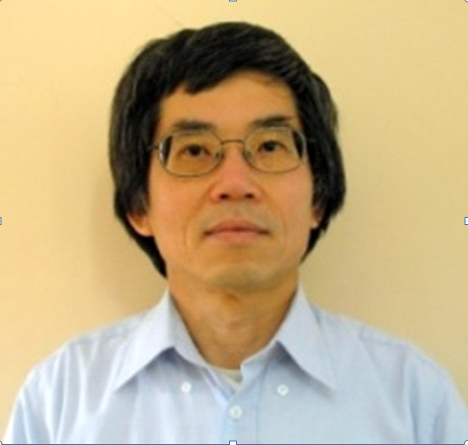 Speaker: Prof. Kun Mean HOU, University Blaise Pascal Clermont-Ferrand II, France. Tuesday, October 9, 2012, Aula Magna - 9:30-10:30. Wednesday, October 10, 2012, Aula Magna - 8:45-09:35. On the Potential and Challenges of Multi-Hop Cellular Networks with Mobile Relays. 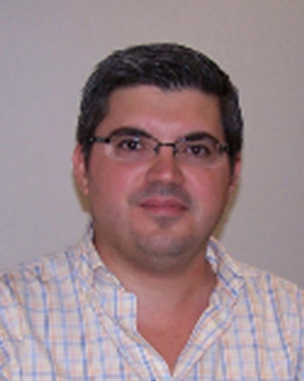 Speaker: Dr. Javier Gozalvez, UWICORE Laboratory, Miguel Hernandez University of Elche (UMH), Spain. Wednesday, October 10, 2012, Aula Magna - 9:40-10:30. WSN is an emergent and multidisciplinary science, a very active and competitive research area. WSN is first motivated by military applications such as battlefield surveillance, transportation monitoring, and sensing of nuclear, biological and chemical agents. It starts with the smart dust project where the main goal is to implement a complete sensor and communication system integrated into a cubic millimeter package. WSN is unprecedented levels of integration and cross-layering of hardware, software and sensor (MEMS). Recently, thanks to 6LoWPAN, RPL and CoAP new advances were achieved in communication protocol which enables WSN nodes to P2P connection through internet. WSN node embedded with 6LoWPAN (IoT) and CoAP (WoT) have unlimited potential applications. However in spite of the tremendous advances many challenges need to be overcome and many questions are still open for real world large scale IWoT applications. My presentation will focus on the core technologies dedicated to IWoT by introducing the challenges and the open questions of basic hardware and software components such as WSN node hardware, operating system, 6LoWPAN and RPL, and CoAP. Therefore, to illustrate my presentation, a real-time demonstration of WSN platform dedicated to precision agriculture named iLive Platform will be shown. Kun Mean HOU was born in Cambodia in 1956. He held a PhD degree in 1984 and a HDR degree in 1996 in Computer Science from the University of Technology of Compiègne (UTC), France. He worked as associate professor at UTC from 1984 to 1986. In 1986 he joined IN2 as R&D engineer group leader to develop fault-tolerant super-minicomputer. From 1989 to 1996, he led a research group, which investigated parallel architecture dedicated to real-time image processing at laboratory HEUDIASYC UMR 6599 CNRS (UTC). In 1997 he joined the college of engineering school ‘ISIMA: Institut Supérieur d’Informatique de Modélisation et de leurs Applications’ as full professor, where he created the SMIR ‘Systèmes Multisensoriels Intelligents integers et Répartis’ group of the laboratory LIMOS UMR 6158 CNRS (10 researchers). SMIR group focuses on the development of core (basic hardware and software) technology dedicated to Wireless Sensor Network, IoT and WoT. Different sensor nodes (Bluetooth, Wi-Fi and ZigBee), embedded wireless communication and embedded real-time kernel (SDREAM, LIMOS and HEROS) are implemented and deployed in different applications such as telemedicine, intelligent transportation system and precision agriculture. He holds 3 EU patents, and he evolved in 3 EU projects and 20 technology transfers. He is also evolving in several scientific committees and boards. He is an ICT-AGRI EU expert. Cellular systems have significantly evolved over the past decades with the emergence of new and efficient radio access technologies, although the evolution has been generally confined to the traditional infrastructure-centric architecture where each mobile station directly communicates with the base station. An important novelty was recently introduced through the integration of relaying techniques into cellular systems. Relaying techniques are expected to significantly improve the system capacity, energy efficiency and user-perceived QoS through the substitution of long-distance, and generally Non-Line of Sight, cellular links by various multi-hop links with improved link budgets. The integration of relaying techniques into cellular systems, usually referred to as Multi-hop Cellular Networks (MCNs), can be accomplished using either fixed relays (MCN-FR) or mobile relays (MCN-MR). Initial activities have mainly focused in fixed and strategically located relaying stations. On the other hand, MCN-MR networks use mobile stations to support the ad-hoc relaying capabilities in a collaborative operational framework. As a result, MCN-MR networks are characterized by a lower deployment cost but a higher management complexity. However, exploiting the communications and computing capabilities of mobile terminals offers new connectivity opportunities and future perspectives for MCN-MR networks. The talk will discuss the challenges and opportunities of MCN-MR, and present recent research achievements towards the design of efficient MCN-MR systems, including unique experimental MCN-MR field tests, energy-efficient networking, radio resource management aspects and selfishness prevention. The talk will also discuss future research directions. Javier Gozalvez received an electronics engineering degree from the Engineering School ENSEIRB (Bordeaux, France), and a PhD in mobile communications from the University of Strathclyde, Glasgow, U.K. Since October 2002, he is with the University Miguel Hernandez of Elche, Spain, where he is currently an Associate Professor at the Department of Communications Engineering, Director of the UWICORE (Ubiquitous Wireless Communications Research, www.uwicore.umh.es) Laboratory, and Deputy Vice-President for International Relations. At UWICORE, he is leading research activities in the areas of wireless vehicular communications, multi-hop cellular networks, radio resource management, heterogeneous wireless systems, and wireless system design and optimization. He currently serves as Mobile Radio Senior Editor of IEEE Vehicular Technology Magazine, and previously served as AE of IEEE Communication Letters. He was General Co-Chair for the Ninth ACM International Workshop on VehiculAr Inter-NETworking, Systems, and Applications (ACM VANET 2012), TPC Co-Chair of the 2011 IEEE Vehicular Technology Conference-Fall, TPC Co-Chair of the 2009 IEEE Vehicular Technology Conference-Spring, and General Co-Chair of the 3rd ISWCS 2006. He is also the founder and General Co-Chair of the IEEE International Symposium on Wireless Vehicular communications (WiVeC) in its 2007, 2008, and 2010 editions. He has been elected to the Board of Governors of the IEEE Vehicular Technology Society (2011–2013), and to the IEEE Distinguished Lecturers program of the IEEE Vehicular Technology Society.